An elaborate Facebook content marketing strategy is a trendy must and a non-stop challenge for companies who have goals of not only keeping their business afloat but also attracting a chunk of Facebook’s ever-growing audience. Today, this audience is 2 billion people and half of that amount make active users. And despite Facebook’s never ending policy and algorithms updates, having a well thought-out content strategy can increase your revenues and let you scale your business. It is not by chance that despite the existence of practically uninhabited areas in the markets like messengers WhatsApp, Messenger, and WeChat, 96% of businesses continue to use Facebook. Confirming the State of Social Media 2018 report, Facebook is the leader in paid advertisement (94% of marketers use it). As you can see, the to-do list is impressive, but it’s the real deal affecting Facebook marketing output. With Facebook recently changing its News Feed algorithm, has come a significant decline in organic traffic. Since Facebook now tends to revitalize the family spirit of their network, they have been changing their core towards interpersonal relationships. Whereas previous algorithms operated mostly by a point system, classifying posts by specific formats, the current algorithm adapts to personal user preferences. That makes marketers face new challenges in order to increase the desired organic reach. When we speak of organic traffic, we refer to traffic you did not pay for. Since it’s free, the most effective approach in its acquisition is working on the engagement capacity of your marketing content. That is where and why content strategy is so crucial. In order to create a working Facebook content strategy, you must consider two key points: the way the new Facebook algorithm works and what your audience responds to. the users meaningful, active interactions. That is when we come to the significance of your audience’s insight. In order to draw people into a meaning discussion. you need to grab them. You need to conduct sociological research on your best, meaning paying, customers to collect as much personal information as possible, and build this into the profiles you’ll try to reach via Facebook. This information includes: age, gender, location, interests, favorite Facebook pages, emotional triggers, etc. If you gather this, data you get a collective image of your audience, and you can start adapting your content to its preferences. Simply adapting is not enough to attract an audience. You need to invite people to a discussion. Your marketing strategy has to be unique and sharp. The content should encourage further interest and give people something to chew on, to stew over, to comment on, to cheer for and, thus, love it. The frequency of your posts and feedback to the comments also count. Another efficient way of organic reach engagement gaining momentum is using videos. According to State of Social Media 2018 report, 85% of companies are going to increase their video production in 2018. The most popular videos are animated and have captions and attractive visual images triggering viewers emotions. Facebook Live videos get maximum user attention outdoing all other kinds of videos as measured by review duration and number of comments. Quintly’s recent study says native Facebook videos have 530% more comments in comparison to Youtube videos. Despite the fact Images currently take second place behind videos with 68% of companies planning to increase image content in 2018, they grant valuable help in users acquisition by animating your posts and stirring your audience. Your images and photos are reflections of your business, so try to keep keep photos simple and natural, while at the same time make them stand out and appeal to your main audience. Facebook loves videos. More appropriately, the people who are on Facebook seem to love videos in a huge way! 3.8 Billion Video Views happen daily, in fact. That’s a lot of time watching videos when people are supposed to be working, lol. The point is people love videos; they watch them on Facebook in droves (A little hint: more than on YouTube!). That’s why it’s crucial to use FB videos to grow your business. However, there are two ways of using this tactic: the simple uploaded video or a Facebook live video with cool effects. According to a Facebook report in late 2017, over 20% of all videos on Facebook are Live videos. This graph by L2 in August of 2017, shows how Facebook Live videos have increased over the last 2 years. The important difference between uploaded Facebook videos and Facebook live is the length of engagement. In marketing, that’s huge. This is the main reason the winner in the video category is most certainly FB live. Facebook live videos are viewed 3X longer than uploaded ones. That’s a pretty significant metric. Moreover, based on different marketing rеsеrch, Facebook Live vidеоs get more shares and reactions exposing the pages and channels to more people who hadn’t already liked them. In many cases, it’s possible to sее how the viewers enjoyed the content. 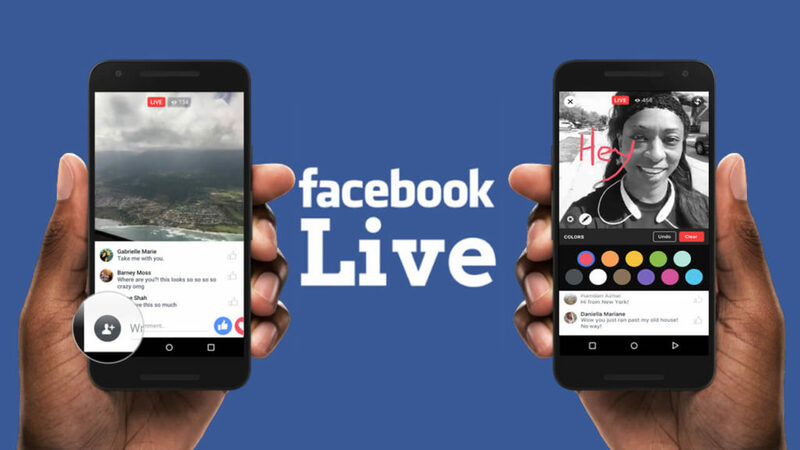 To launch a Facebook Live, you just need a smartphone, script of what you wanna say during Live and readiness to answer on people comments and question. Engagement is everything when it comes to Facebook Live. Simply use a smartphone and go with it. In summary, we see the performance of Live video is far superior to that of uploaded videos. 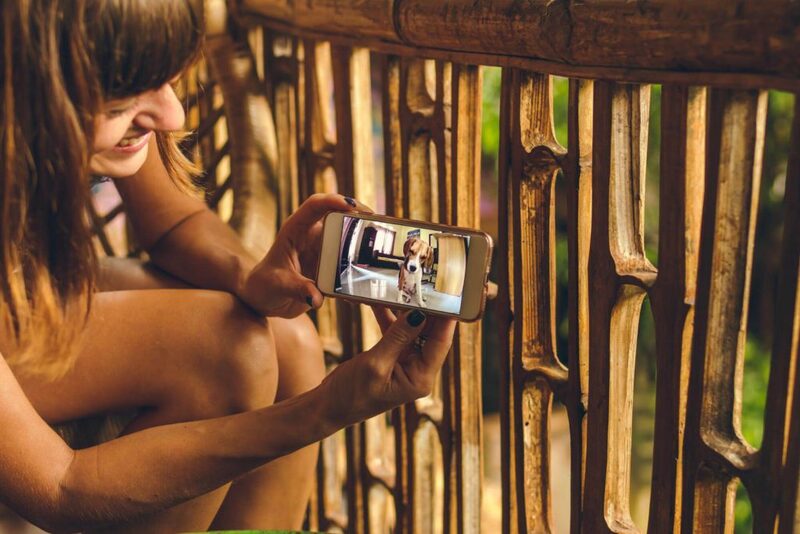 With Facebook live videos, it’s possible to get nth degree user engagement and to increase your business awareness among others by making new videos at least once a week. “Should I spend my online marketing budget on Google Adwords or on Facebook Ads?” That’s the million dollar question business owners want the answer to. In fact, in 2016, Facebook saw a 50% increase in active advertisers, accounting for 65% of all social ad spending. Obviously, growth like that makes businesses start to speculate. Will Facebook overtake Google as the giant of online advertising? Let’s compare these two big players. Facebook Ads is a great example of what a “paid social” or the practice of advertising on social networks is. With the highest number of monthly active and regular users, Facebook has become a highly competitive and potentially lucrative element of many businesses’ digital advertising strategies. Under $1, retail industry averages $0.45 CPC. $0.34 (food and beverage industry) – $1.57 (telecommunication industry). 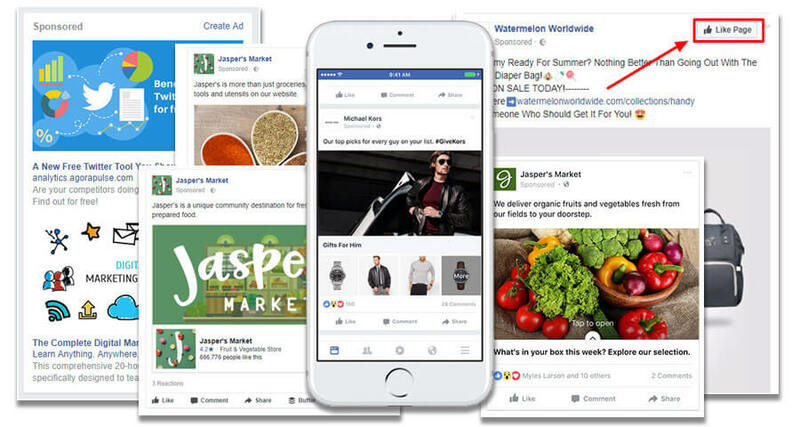 Although advertising on Facebook can be thought of as similar to AdWords in that advertisers use both platforms to promote business via the Internet, this is where the similarities end. 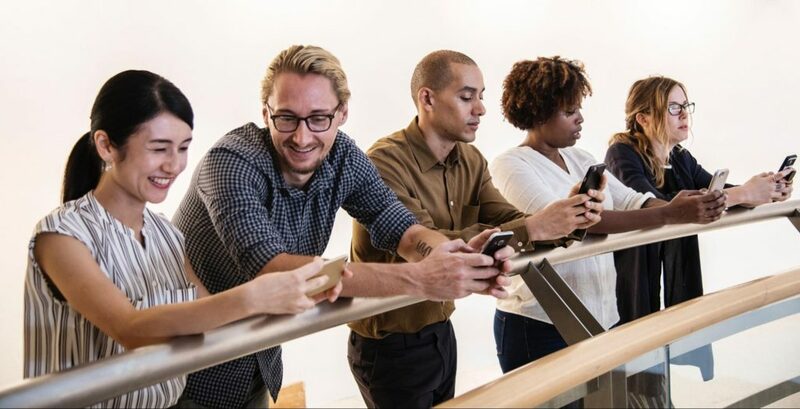 Unlike paid search, which helps businesses find new customers via keywords, paid social helps users find businesses based on the things they’re interested in and the ways in which they behave online. Varies from $0.35 to $5 with the most expensive keywords CPC is “insurance” at $54.17. Varies. AdWords CPA Bidding allows user to set the average costs per conversation. Using the abilities of both paid search and paid social is a very effective advertising strategy. However, it requires a dual advertising strategy aligned with the strengths of each respective platform. Although marketing messaging can, and arguably should, remain consistent across both Google AdWords and Facebook Ads, it’s necessary to understand the best way to use each platform to get the maximum ROI and higher business growth. Facebook Is Always Changing. Are You Prepared? Facebook has continued to grow evolving more and more new features to help businesses scale at incredible speed. And it plans to focus on retail and local businesses even more in 2018 with it’s new features. As the changes take effect, businesses should take steps to encourage meaningful interactions on the platform. Create a good Facebook content strategy, publish quality content to spark conversations among users, engage in Facebook groups, and invest time in media content. It is important to remember Facebook is not the only solution for a successful social media strategy. It is one piece of the puzzle. While you should continue to make this network a part of your marketing strategies, you should include different platforms to drive the best results for your business.